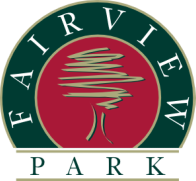 Fairview Park is located just inside the Capital Beltway at the intersection of Route 50 in the heart of Fairfax County. The direct Beltway interchange allows immediate and unrestricted access to the Beltway and the Region’s major road network – putting you within minutes of Metro and destinations throughout the Washington Metropolitan area. Fairview Park is convenient for Washington area Metro Commuters. A Metro bus runs through the Park to the Dunn Loring Metro station enabling access to one of the world's most modern metro rail systems. Please contact our traffic coordinator, Tara Berger.